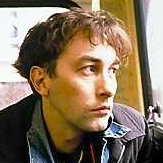 Yann Tiersen is a French musician. With a classical background and punk influences, he started making music early. After the release of his third album, Yann invited several musician for a live show in Rennes, including Neil Hannon who was on the same label in France. Together they performed a version of ‘Geronimo’ and a cover of David Bowie’s ‘Life On Mars’. The show was recorded for broadcast as a Black Session on France Inter, and subsequently released as a live album. For his next album L’Absente, Neil Hannon was invited again co-write and perform on the song ‘Les Jours Tristes’. At the same time the song was also used for the soundtrack of the movie Amélie. He then returned his favour to Hannon, by playing accordion on a couple of tracks during the recording of Absent Friends. Neil Hannon and Yann Tiersen haven’t worked together since. Yann has been since busy on several projects since, composing music for films, and making more rock-oriented records.